March 9, 2010 -- Come to the FAW fundraiser at the TREC in Erie March 26! September 25, 2009 -- Walkin' Jim Stoltz in Erie, Saturday, October 3! East Fork Run in the Tionesta Research Natural Area. Below are volunteer opportunities and activities for those interested in being involved in the Friends of Allegheny Wilderness campaign to protect Pennsylvania's wilderness. Please contact FAW for further information about any of these activities, or to suggest others. Thanks for your help and support, and please keep checking back for new activities! Ongoing -- Hikes within areas of the Allegheny National Forest that FAW has proposed for wilderness designation. Ideally, what each proposed wilderness area needs is a dedicated individual or small group of individuals to "adopt" the area -- explore, study, photograph, and advocate for its protection as wilderness independently of the broader FAW campaign. If you would like to schedule a hike into a potential wilderness, or for information on areas of the Forest you might adopt and advocate wilderness protection for yourself, please contact FAW. June 22 -- Allegheny Islands Wilderness Big Trees! Join the Native Tree Society (NTS), FAW, and Allegheny Outfitters as we host Ed Frank of the NTS, presenting the findings of his organization's report, "Trees and Forests of the Allegheny River Islands Wilderness and Nearby Islands: Interim Report through December 2011." The presentation will be held at the Allegheny Outfitter's store on Pennsylvania Avenue in downtown Warren at 6:00 p.m. Contact Friends of Allegheny Wilderness at info@pawild.org for more information. June 16 -- Join the Elk Township Historical Society and FAW for a screening of the one-hour documentary Forever Wild, narrated by Robert Redford. Bonfire at 8:00, the film starts at 9:00. 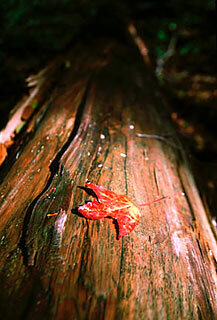 Contact Friends of Allegheny Wilderness at info@pawild.org for more information. September 2010 -- The "Our Town" series began in 1996 with Bradford, Pennsylvania. After 55 episodes in this WPSU series, they have returned for a 2010 glimpse of this picturesque town surrounded by the Allegheny National Forest. Friends of Allegheny Wilderness, the wild & wonderful proposed Chestnut Ridge Wilderness Area, and FAW efforts to preserve wilderness in the Allegheny National Forest in general are one of the profiled stories in the program. March 2010 -- Friends of Allegheny Wilderness hosted a screening of Forever Wild with Robert Redford at the Tom Ridge Environmental Center on Friday, March 5, 2010. WICU Erie TV-12's popular reporter Amanda Post promoted this event on the Thursday, March 4 five-thirty p.m. news broadcast. 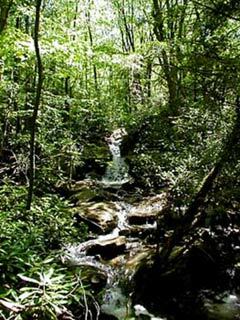 May 2008 -- Erie's WQLN recently interviewed FAW and Sierra Club member Roger Knacke and Kirk Johnson of FAW about the impending trouble for the proposed Chestnut Ridge Wilderness Area. Chestnut Ridge was recently identified as one of ten national Treasures in Trouble by the Campaign for America's Wilderness. 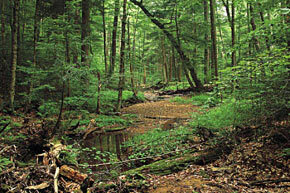 December 2007 -- View the Pittsburgh Tribune Review video showing the proposed Morrison Run Wilderness Area. July 2007 -- Doug again graced the region's airwaves when he was interviewed for WYEP in Pittsburgh's July 11 "Allegheny Front" radio program. Listen online here! ANF Wilderness: Economic Benefits for Penna. Large woody debris in the Tionesta Scenic Area as a result of a tornado that swept the region in May of 1985. Photo by Scott MacDonald. 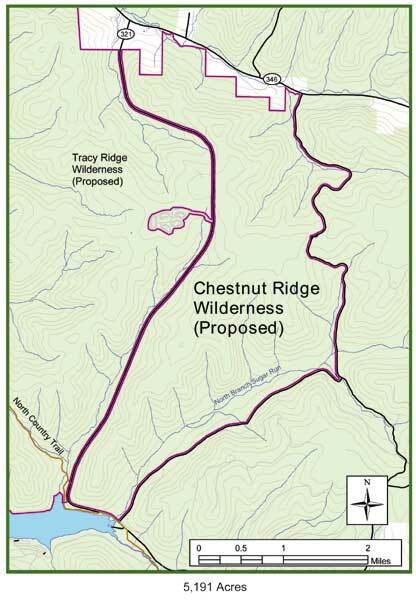 Philipsburg Run, proposed Clarion River Wilderness Area. Photo by Bob Stoudt.